← Not just special occasions but any day of the week! 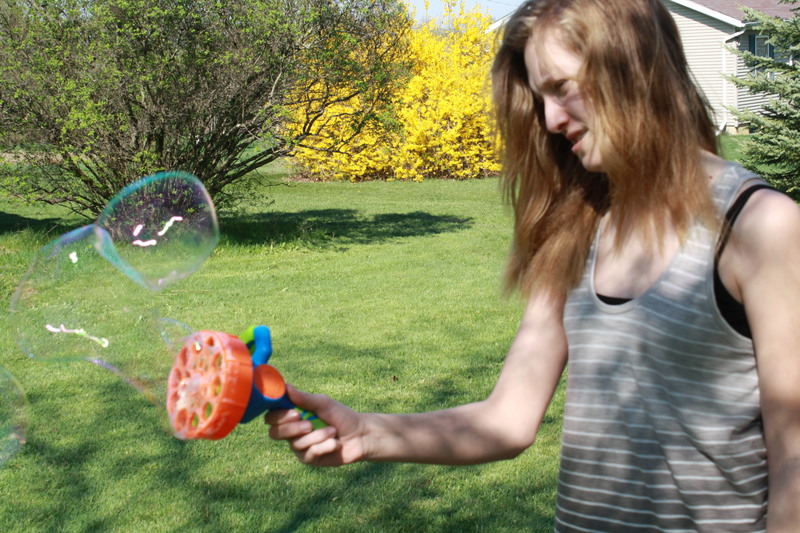 Wordful Wednesday ~ Bubble Fun! Recently the kids and I had the opportunity to check out some fun new stuff from Imperial Toys and I am pretty thankful that the weather was warm enough for us to head outside and try them all out because making them wait until closer to summer would have drove me nuts! You see all the toys were bubble blowers and water balloon launchers! What kid can resist those (not mine!)? The only thing that we didn’t check out were the glow in the dark bubbles because it was to cold & rainy in the evenings to go outside. Of course those are the ones that they wanted to play with most of all. 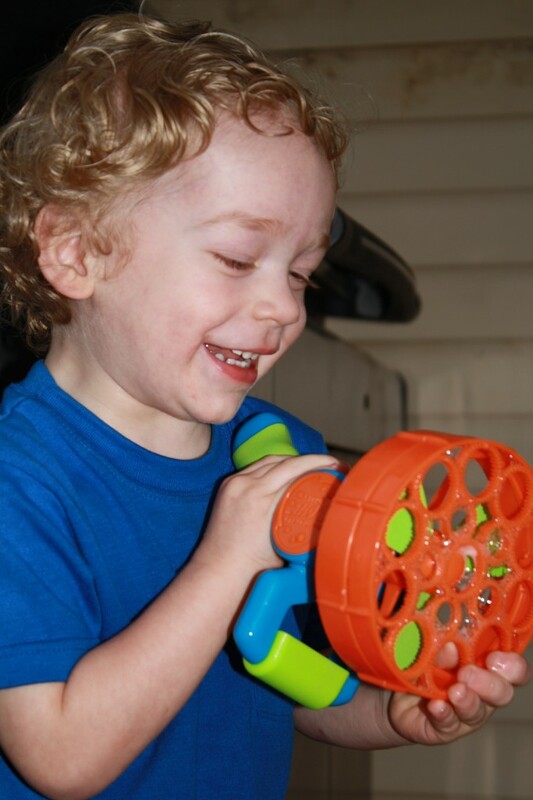 It didn’t take long for Andrew to figure out how to make the bubble blower work! He loved it. I’ll be honest…. I did too because it made some huge bubbles that would float all over the place forever! The lure of the sun, warm breeze, and the bubble blower even brought Natalie outside with the rest of us. It was one of those rare moments that I really do cherish since she usually hangs out with her artwork & music. When the kids broke out the water balloons it was all over! They showed Andrew how to fill one up and then throw it…. it took one balloon before he was soaked. You see that picture… that one right above? 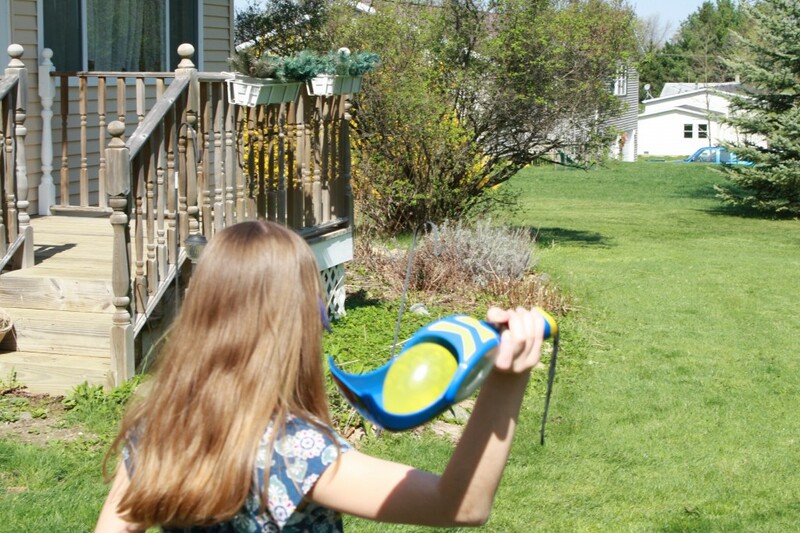 That’s Lauren with the water balloon launcher and that thing can really send a balloon flying! They all had a ton of fun with everything and we all can’t wait for a warm evening so we can get out and try those glow in the dark bubbles! Those have to be awesome! 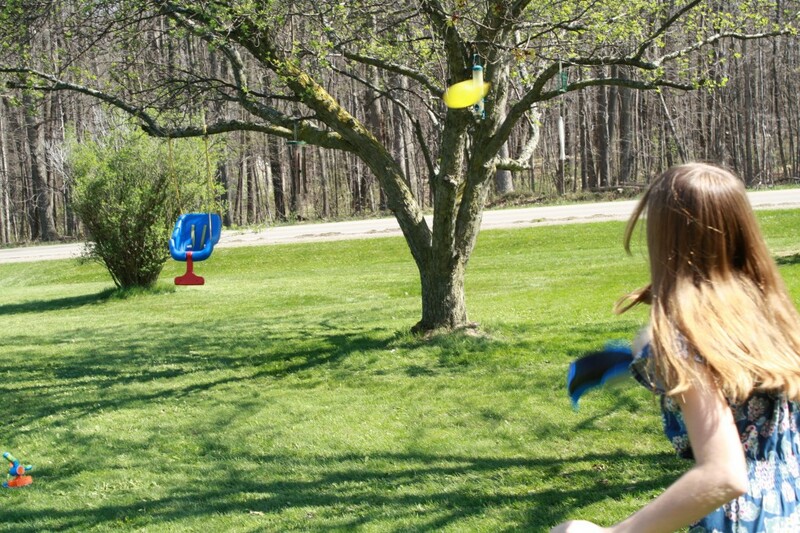 Check out the Imperial Toys website and Facebook page for more information on some of their cool toys for summer fun! This review was made possible by Mom Spark Media. All the thoughts, fun, and pictures are my own.